We are a boutique agency team specialising in marketing, design and communications. We are experts at picking up a project and running with it, developing a plan and implementing it, and talking to your customers in the right way, the right place and at the right time both digitally and in print. Our team is passionate about building brands and profit for the long term. We’ll develop and implement a consistent, focused marketing approach that works to achieve your business objectives. Think of us as an extension of your team without the fixed overhead. We work across numerous industries and projects on a daily basis. Our team and supply partners have the experience and know how to help you when you need an extra resource or help with getting things started and maintained. Our model is flexible and tailored to your needs, meaning you can work with us on a hourly, daily or project basis. 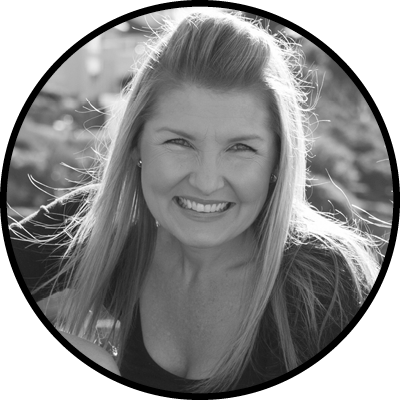 Kelly Gaunt is the Founder of The Marketing Bungalow. With 10 year’s experience in corporate sales and marketing, and another five working as a marketing consultant and contractor under her belt, Kelly saw the need to provide business at all levels with a boutique marketing, design and communications supplier. Kelly was passionate about developing a marketing business that didn’t deliver their services in a ‘smoke and mirrors’ agency format where off shore freelancers, juniors, administrators and interns complete the work. The Marketing Bungalow team is small, but they are all experts, they collaborate with you and then physically complete the work. The result is strong return on investment, the ability to deliver big ideas as reality and strong, long-term business relationships. Bungalow people become an extension of your team. Those that know Kelly will describe her as funny, high-energy and possibly a little nuts! Those that know her really well will add intelligent, hard working and a robust problem solver with a ‘make it happen’ attitude to the mix. ‘I often do things upside down. I start at the end goal and work back from there. My entire career has worked that way. I was a National Sales Manager by 22 and a National Sales and Marketing Manager by 25 but, I didn’t complete my Marketing degree until I was 31. Yes, I do things differently but there is a method to my madness!’ Kelly says. Kelly holds a Bachelor of Business: Marketing and is a professional member of the Australian Marketing Institute. She speaks regularly for ShireWomen and features quarterly as a guest speaker for the Mumpreneur course at St George / Sutherland Community College. Kelly was also one of three business experts invited to speak at the 2014 Sutherland Shire Business Expos in a line up that included Mark Bouris. Her corporate background has seen her work with major Australian and International companies including Zodiac Marine & Pool, Just Cuts Franchising, Clark Rubber and the Commonwealth Bank. Kelly also has an intimate understanding of small business in her role as Co-Director of an online retail fashion outlet. Kelly believes that a strong understanding of marketing and a practical approach to its theory provides the ability to achieve results across a diverse range of industries and categories. She applies a refreshing balance of practicality, creativity and strategy to each project and brand she partners with.